What better time to talk about chocolate than when Easter is around the corner? Many of us are culturally accustomed to feasting on chocolate this season, whether in celebration of Jesus’ resurrection or not. But the thing is, the chocolate industry has a dark and bitter reputation (pun intended), so let’s make sure our purchases are deliberate and conscious. In this post I’ll point to tasty brands with proud ethics, but for the super keen I’ll also list some advice for how exactly you determine which chocolate is worth buying. If you really want to impress me, you can read my two other chocolatey posts here and here. 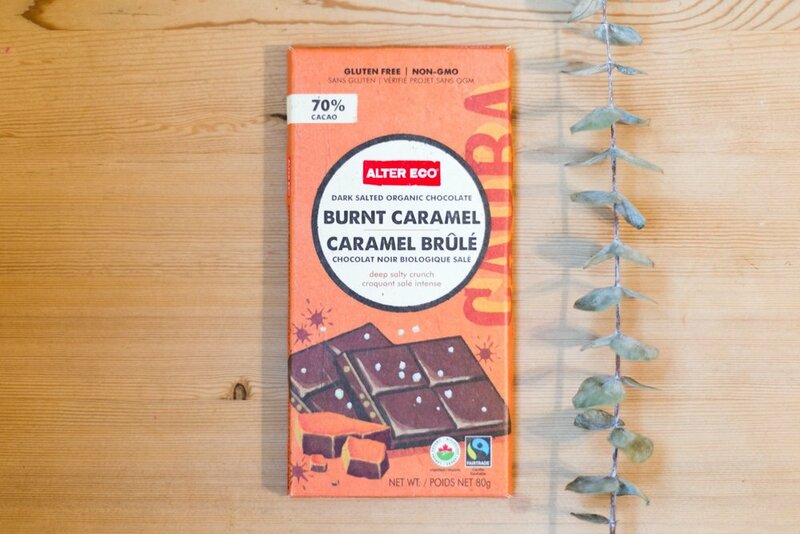 Alter Eco are Fairtrade, organic, minimal waste and non-GMO, and they’re also my favourite at the moment. They sell bars and truffles in a variety of flavours like sea salt, burnt caramel and quinoa crunch (surprisingly good). Not only that, every Alter Eco bite invests in replanting and conservation in the Peruvian rainforest. Tony’s Chocolonely is on a mission to offer 100% slave free chocolate - now that’s impressive. This Dutch brand is one to be proud of, available in the UK and select stores in North America. They have fun flavours and a wide milk-chocolate variety. The largest share of Divine Chocolate is held by the cocoa farmers themselves - in fact Divine are the only chocolate company with this boast! That means their 85,000 farmer members in Ghana share in the profits and have a voice in the business. Divine doesn’t use palm oil and has a new organic range. They do chocolate bars, baking bars and hot chocolate powder. Camino is a Canadian brand with of a wide range of Fairtrade and organic products. I use Camino a lot for baking. Beyond chocolate bars they have a cuisine range (sugar, chocolate chips, cocoa powder) and coffee too. Equal Exchange is a sister company (run by Camino’s owner La Siembra Co-operative) who have a wide variety of different flavoured chocolate bars, as well as doing their own tea and coffee. Theo Chocolate is Fairtrade and organic, and it’s been around for a while. They employ over 5500 cocoa farmers, going beyond the bare minimum in support of reforestation in Peru and maternal health initiatives in Eastern Congo. Is it certified? Certification labels are little icons from third-party bodies confirming that a brand fulfils certain standards. Think of logos like Fairtrade, Rainforest Alliance and UTZ. Seeing these icons makes it more likely that if the worst practices were happening, they would have been detected (things like child labour and illegal deforestation). Beware of companies certified by an internal scheme (including Cadbury’s ‘Cocoa Life’ and Hotel Chocolat’s ‘Engaged Ethics’). According to Ethical Consumer, these schemes tend to provide little public information about what they do. Who are the farmers? Cocoa farmers generally receive very little return for their crops. The best chocolate companies know who their farmers are and boast about it to their consumers. This is called ‘direct trade’ and it means farmers are more likely to get a fairer share of the profit. Where was the cocoa grown? More than half the world’s cocoa comes from West Africa, but this is also where much worker exploitation happens in the field. Find chocolate brands who are open about where their cocoa is grown - they tend to be the ones with less to hide. What does the packaging say about palm oil? At its worst, palm oil is connected to worker exploitation and major deforestation, and chocolate contains a lot of it. Look for brands who commit to either sourcing palm oil sustainably, or ones who say they’re palm oil free. Is the packaging wasteful? Simply hold and feel the packaging. Is it crinkly plastic that you can’t push your thumb through? That’s the worst type of plastic - it can’t be recycled. Prefer chocolate that comes in paper and foil, or have a read of the packaging and see if the plastic is compostable (bio-plastic made from natural materials).